Space is limited 10 (ten) photographers. THREE spots remain. 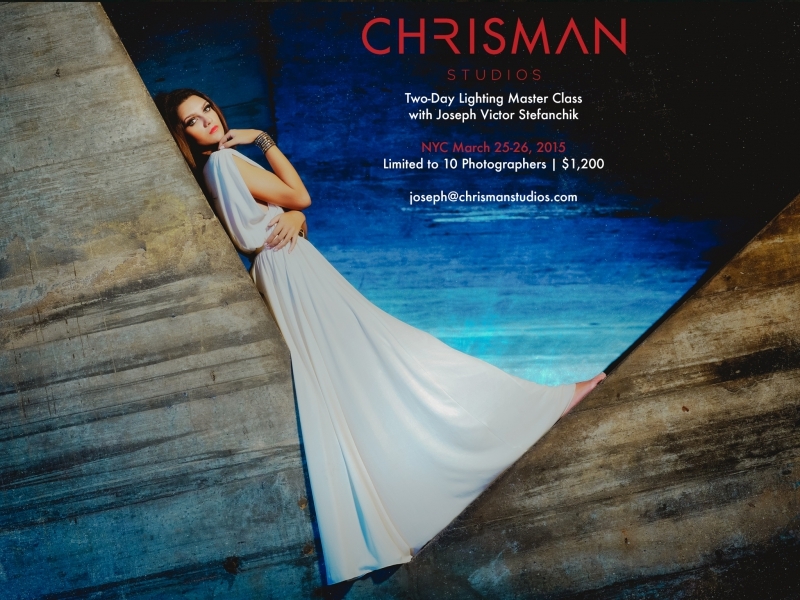 This two day Masterclass dives deep into the creative lighting techniques and post production skills essential to delivering incredible results to your clients. If you’re a photographer who already has a solid understanding of working with off-camera flash but wants to push your knowledge and artistry further, come join me for this intimate, interactive, two day intensive. -Dig into my kit. I’ll show you exactly what’s in it, why I use it, and what I can’t live without. -Watch live demonstrations and learn advanced techniques to create great light no matter where you are. -Experiment with gear and shoot models in spectacular light. -Improve your post production to make your files go from RAW to WOW! -Streamline your workflow. I’ll show you my exact system from capture to client delivery. -Review day one. All questions and clarifications are welcomed. -Live image critiques. Each student will get a full hour of constructive critique! Choose your favorite images (featuring off-camera lighting as well as natural light) and we’ll review them together to help you refine your vision and bring out the best in your work. Space is limited to 10 (ten) photographers, and a light breakfast, lunch and dinner are included both days. THREE spots remain.